1.Clients question: Do you pay VAT for plots/land in Cyprus? And how much? 2. Clients questions: Do you pay VAT for the acquisition of new build properties? Nicolaou Estates: Yes. Always when a property is sold for the first time by the developer/construction company, the purchaser must pay VAT. The VAT charge normally is 19% on the purchase price. However, a reduced VAT rate to 5% is applicable for the acquisition of new residential properties. For the reduced rate to be in effect the property must be used as the primary and permanent residence of the applicant (for the next ten years) and the applicant must have not acquired any other residence in Cyprus with a reduced VAT rate. The reduced VAT rate of 5% is applied on the first 200 square meters (building coefficient) of the property as per the architectural plans submitted to the Authorities. On the remaining square meters, the standard rate of 19% is imposed. 3. Clients question: Do you pay VAT for old properties acquisition? Nicolaou Estates: No. We never pay VAT on old/used properties. If a property is rented or lived in, it is considered used and there is no VAT payable by the buyer. 4. Clients question: How to set up the best price for our property for sale? 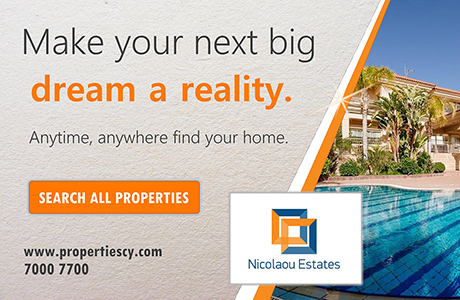 Nicolaou Estates: You must find other similar properties that were sold in your area, at least 2-3 of them, in the last 6 months, calculate how much they were sold per square meter in order to calculate the value of your property per square meter. If you cannot find any comparable evidence, it’s always good to appoint a professional property valuer to value your property for you. 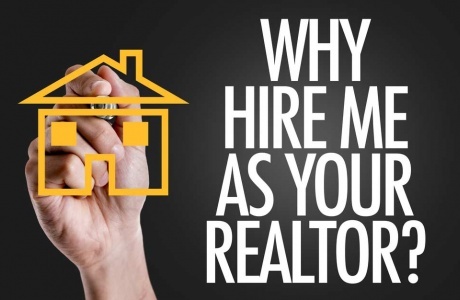 You can always consult your real estate agent to guide you. The value of each property is the value of the land PLUS the value of buildings in that land. Therefore, we take into consideration the following: Price of land in that area plus size of building built in it, the age of the building, Quality of finishes, etc. For example, a house with the latest materials and nice finishes will cost approximately 1200 per sq.m to be built today. For older properties we must consider cost of renovation, which can be up to 600 Euros per sq.m. depending on the extent of renovation. In some cases, property prices are affected by unique location. 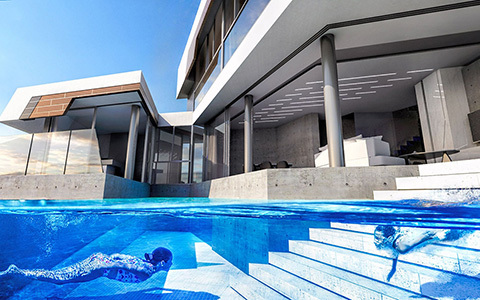 For example, properties with sea views have a premium. 5. Clients question: What we should look at, when searching for a plot to build a house in Cyprus? Nicolaou Estates: First of all, you must make sure that the planning zone of the plot is residential so that the planning authorities will allow you to build the house in the plot that you are interested in. After when looking for any property you must make sure that the location suits you and then the budget. So, you might wish to buy a plot of 600m2 in Agios Athanasios area for example but your budget is €150,000 which is impossible to find this size of plot in this area for this price. So, if the location is more important for you than the size then keep the same location but search for 250m2-350m2 land which will be closer to your budget. On the other hand, if the size is more important for you and then comes the location then you should compromise and go to the nearest location of your desirable area in which the €150,000 is enough to buy 600m2 of land. For this example, with €150,000 instead of Agios Athanasios maybe you can go to Pyrgos area and find a plot there of 600m2 with €150,000. 6. 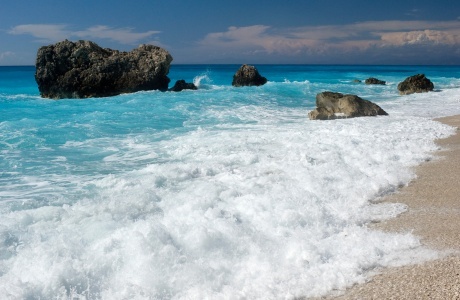 Clients question: What are the best areas for investment in real estates in Cyprus and why? Nicolaou Estates: Depends from the kind of investment, if it’s residential or commercial and if it’s to sell the property or rent it. In general Limassol city is growing faster and better that the other cities of Cyprus so Limassol is the best place to invest. The best areas for people who look to buy and let are in Nicosia and Limassol city center or as near to the sea as possible. In Limassol properties near the sea are always more desirable. 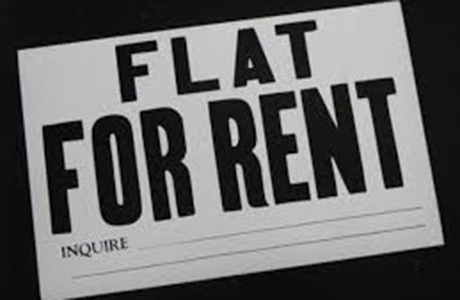 In Nicosia properties near universities are the easiest to rent. When buying an investment property, you must consider: (1) the rental potential, (2) the capital appreciation potential, (3) the overall condition of the building (in case of apartment). 7. Clients question: How much could it cost to build a house on a empty plot having already architectural plans for it? Nicolaou Estates : To build any house in Cyprus, it costs on average approximately €1,200 per covered square meter depending from the quality of finishes. 8. Clients question: Who is advertising our property for rent or sale in case we are collaborating with a real estate agent? 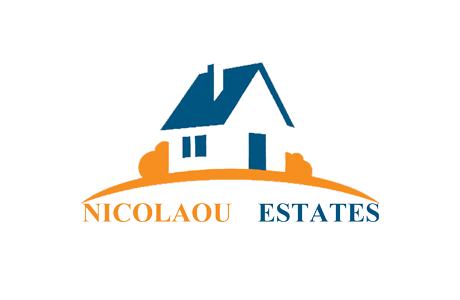 Nicolaou Estates: Your property will be listed in the website of the estate agent. That website is usually advertised in several relevant real estate portals and forums from where it will attract interested clients. Also, the estate agent shall promote/forward your property to his/her clients list who are already searching for properties likes yours and to other estate agents he cooperates with. 9. Clients question: What does it mean when an agent has an exclusivity agreement for our property? How this can help us? Nicolaou Estates: This means that for a mutually agreed period of time you give your property to the specific agent to promote it and nobody else is allowed to promote your property in that period of time unless he/she goes through the appointed estate agent. This can help you in several ways. First of all, you must appoint a professional estate agent with good fame whom will be trusted by most interested clients. Then the estate agent by having your property in an exclusivity basis he/she will spend more energy and money in promoting it, comparing to hundreds of other properties that he/she has, he/she will put a sign on your property on his/her expense so that interested clients will call him/her directly and you will not have to worry about them, he/she will put more paid adverts in several forums to promote your property as much as he/she can and because you will give him/her keys to access your property it will be much easier for him/her to take clients there instantly the time the client request to view it so this will allow the agent to take more clients there easier and also will create a more comfortable sense to the client. Since estate agents are professional property sellers, they have enough experience to know how to answer each client’s questions and to help the owner sell his/her property faster and at a better price. 10. Client question: How we could make our property more attractive for buyers? Nicolaou Estates: During the time you have your property in the market it must always be in good maintenance condition and of course to always be clean and tidy. Small maintenance issues can cause potential buyers to be very negative about a property. Also, it is advisable to appoint a professional photographer to take pictures of your property which will be uses in the advertising material. Your estate agent can introduce you to one. This will usually cost you 150 Euros but it will definitely help in selling your property. 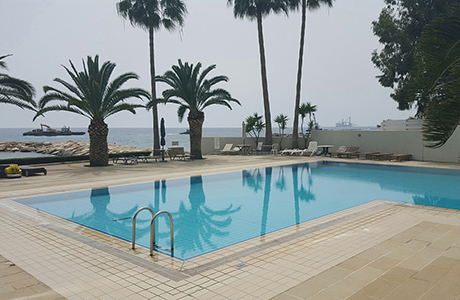 11.Client question: What are the top areas in Limassol for investment in real estates? Nicolaou Estates: The best areas for investment in Limassol are the areas walking distance to the sea. Of course, such properties are also the most expensive to buy. Investors with smaller budgets (below 200k) buy properties as close to the city center as possible, in good residential neighborhoods, like for example: Naafi, Mesa Gitonia, Agios Nicolaos. 12. Client question: What are the best areas to live in Limassol? Nicolaou Estates: Depends if you like to live in a detached house with land or in an apartment. For detached houses/villas the best areas are on the hills just above the high way from where you enjoy magnificent views of the whole city all the way down to the sea but in addition you live just 5-10 minutes’ drive from the city center and/or the sea. These areas include the hills from Agios Athanasios till Kalogiroi/Mouttagiaka areas. If you are interested in apartments the best areas are near the sea such as Potamos Germasogeias and Neapolis areas which combine living near the sea together with near the city center. Generally, most people who buy properties in Limassol buy in the area between Agios Tychonas and Agia Fyla. Those who chose an apartment they buy in areas below the high way and those who chose to buy a house they buy in areas north of the high way. 13. Clients question: When we have to pay an agency fee? Nicolaou Estates: Agency fees are all 100% payable by the seller in the case of sale or by the landlord in the case of rental. So, you have to pay agency fees if you are selling a property you own or if you are renting a property you own. Agency fees (commissions) on sale are usually 5% VAT and commissions on rent are 1 month’s rent VAT. 14. Clients question: How much is an agency fee in Cyprus for selling a property? 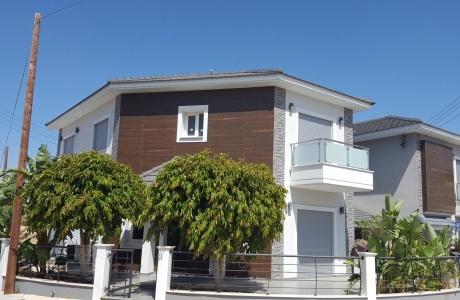 Nicolaou Estates: In most cases is 5% on the selling price plus VAT. In any case it’s good to have a signed agency agreement with your agent indicating the agreed agency fee with him/her. 15. Clients question: How much is an agency fee in Cyprus for rental properties? Nicolaou Estates: It’s one month’s rent plus VAT. 16. Clients question: Is it better to evaluate a property before we decide a selling price? If yes how much would that cost and is Nicolaou Estates able to help us? Nicolaou Estates: For sure it is always advisable to appoint a professional property valuer to value your property for you before selling it. The cost of the valuation will depend from the kind and size of your property. For example, a two bedroom flat in a central area of Limassol will cost approximately €200 VAT to value comparing to a 6 bedroom luxury villa with large land which will cost approximately €800 VAT to value. Of course, Nicolaou Estates can help you by introducing you to 2-3 very good property valuers with whom we work with for many years and you can choose with whom of them you like to proceed. Since your property is one of the most valuable things you have, it is highly recommended to have an evaluation report in writing before you put it in the market for sale. 17. Client question: What are the expenses and taxes when you buy a property in Cyprus? Nicolaou Estates: When buying a property in Cyprus if it’s brand new you must pay VAT and when you pay VAT you don’t need to pay transfer fees to the land registry to register the property on your name. If you buy a used property you must pay transfer fees to the land registry to register the property on your name and the cost of the transfer fees is calculated on a percentage that increases according to the value of property and is calculated as follows: 0 to 85k its 1.5%, 85k to 170k it’s 2.5%, any amount over 170k it’s 4%. 18. Clients question: How to set up the best price for our property for rent? 19. Client question: What are the expenses when you want to rent a property? Nicolaou Estates: Depends from the terms of the landlord but usually you need to pay one or two months' rents as security deposit plus at least one month’s rent in advance. In addition to that each tenant much pay security deposits to the electricity authority and water board to connect the bills. The security deposits for the utility bills depends if you are local, European or citizen of a country outside the EU. Maximum is €350 per service if you are a citizen of a country outside the EU and is refundable when you leave a property. 20. Client question: What documents will you need in order to sign a rental agreement? Nicolaou Estates: You will need to have your passport if you are a foreigner and your ID card if you are a local. In some (not many) cases, the landlord might request a letter from the employer to confirm that the interested tenant actually is working there. Also, in some exceptional cases, for example if someone is renting a house for 10.000 euro per month, the landlord might also request a bank guarantee from the bank of the tenant. But this may happen maybe in 1% of the cases. 21. Client question: What does it mean long time rental in Cyprus? Nicolaou Estates: Long time rentals are rental agreement contracts for a period of minimum 12 months. 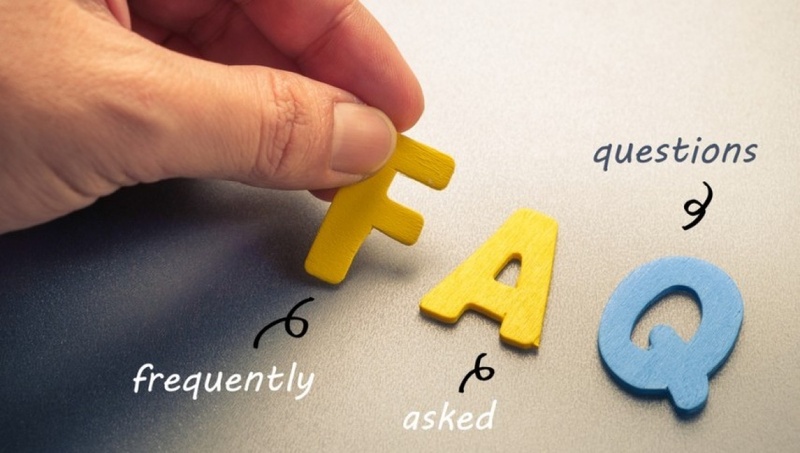 If you have any other questions please do not hesitate to contact us by email or phone.